restoration of normal cellular function. Laser photons normalize the cellular activity by activating various enzymes. Photons have no effect on normal functioning cells – they only have positive effects on those that need help. 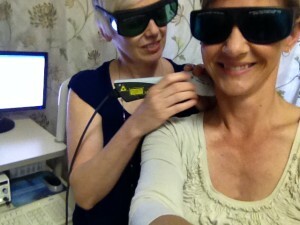 Laser therapy heals the condition at the root of the problem, rather than merely addressing the symptoms. Laser Therapy was discovered in the 1960s by the Hungarian scientist Endre Mester. 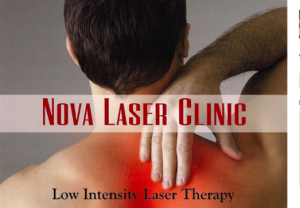 The European medical profession soon embraced this technology, producing many scientific documents detailing how lasers help cells to heal injuries and eliminate pain. At Nova, we use the BioFlex Low Intensity Laser Therapy system by Meditech, the most advanced and sophisticated laser system on the global market today. Meditech is the only manufacturer of low intensity laser therapy devices that also operates therapy clinics, permitting the ongoing development of superior devices and treatment protocols. 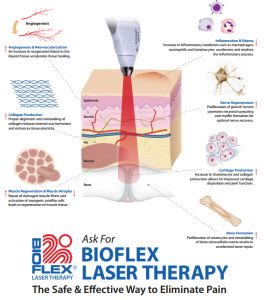 Laser Therapy is an accepted modality by Health Canada and the BioFlex system has a Medical Device License, meaning Health Canada has approved it for the treatment of soft tissue injuries. 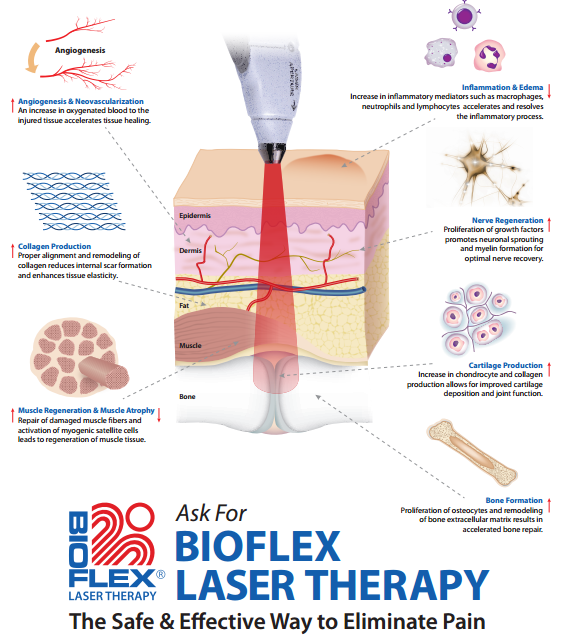 For more information on the effects and applications of Low Intensity Laser Therapy, visit www.meditech-bioflex.com. Contact us today to make an appointment to start your healing process.